Two weeks ago I had my second overwhelmingly positive public meeting experience (the first being this one), a meeting at which most people who attended went home happy and pleasantly surprised. The reason for this, I believe, was that the project being discussed takes a very different approach to development than we have come to expect in our cities. 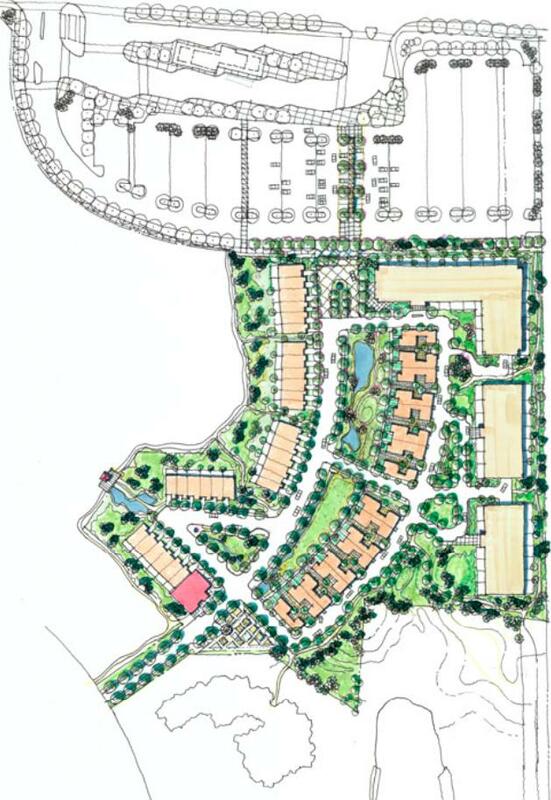 The project is a cohousing development, and the proponents of it actually intend to live there. The applicant spoke at great length about the philosophy of the future residents and the design of the project as it relates to the fostering of a real internal community, as well as how that might relate to the existing external community. This is in stark contrast to the standard model of development, which seems to value community only insofar as it works as a trite but meaningless advertising slogan. “Join our vibrant community” can be seen on signs advertising neighborhoods still being prepared by the bulldozer. Most of these “communities” are then constructed to maximize privacy and seclusion (read: loneliness? ), packaging up what consumers are assumed to want into discrete lots or apartments. In the pursuit of private comfort and independence, the pursuit of real community of place seems largely ignored. Most people seem to crave community, even if they don’t know how to achieve it. I’m not convinced that we planners really know how to create it, either. The responsibility, of course, does not fall solely on our shoulders, but that is an excellent reason why we should be asking more questions and listening carefully to the answers. The new age may demand new urban forms to suit new ways of living. If we can’t grasp that, then are we really planners, or are we just treading old paths? Well, not quite the world. But maybe it could, if done well more often. It was my distinct pleasure to help host a public meeting last Thursday night that, contrary to the combative tone of most public meetings I have been involved with, ended in applause and a community that seems truly excited by the results of the design process. 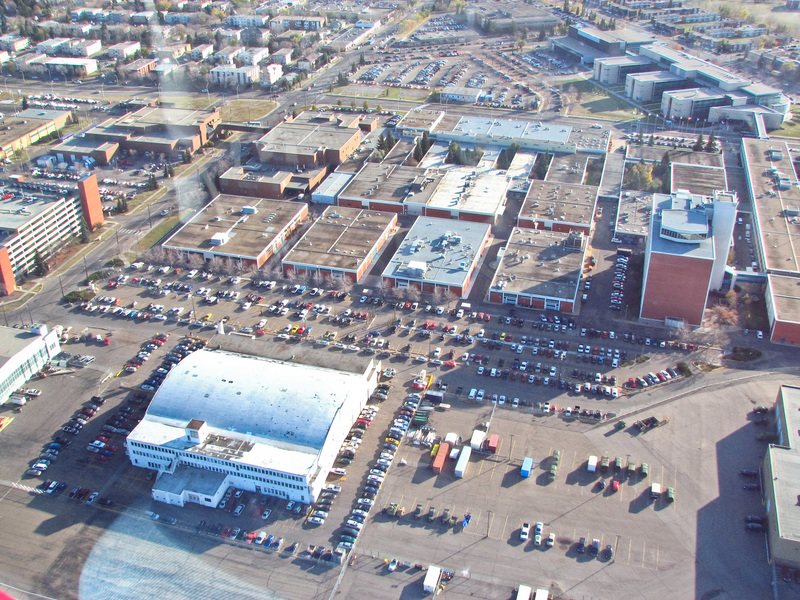 The Potter Greens neighborhood in west Edmonton will see the construction of a new transit center next year, as well as an associated park and ride lot. 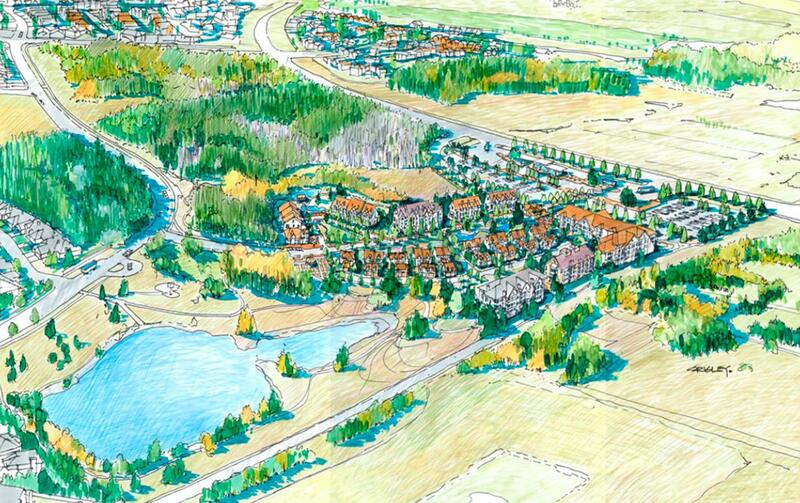 The rest of the site, all owned by the City of Edmonton, includes a peatland natural area and about 6 hectares (15 acres) of developable land. The plan for the area, an amendment to which I took to Council last year, calls for some form of transit-oriented development in that developable area, the details of which were to be worked out in close consultation with the existing community. The transit center will also likely be the terminus for a future LRT line, so getting the design right now is important to set the framework for the future. It’s probably not appropriate for me to offer much commentary on the concept that was presented, as there is still a lot of work to be done to get it to the zoning stage. But I will say that my impression of the concept is that it is creative yet practical, appears to balance well the interests of residents and the City, and that it evoked a surprisingly enthusiastic response from area residents present last night, some of whom seemed ready to move in tomorrow. This is quite a switch from the upset and concerned residents who came out to our initial meetings. I think the consultant’s presentation of the concept was a masterfully persuasive sales pitch, though one based on carefully-crafted ideas and attention to the interests of the audience. It was a sales pitch that played to the crowd the right way: through having listened closely. The powerpoint from last night is available here. It will hopefully go up on www.edmonton.ca as well, but that could take some time. The consultant working on this project is MVH Planning and Design Inc. I went to a panel discussion this afternoon on “What Makes for a Great City?” The discussion was part of the University of Alberta’s Festival of Ideas celebration, put on for their 100th anniversary. Jaime Lerner, of Curitiba, Brazil fame, was one of the three panelists, and although he was obviously at a disadvantage in a panel discussion speaking in what must be his third or fourth language, I still felt that he was the most compelling and passionate of the three speakers. Curitiba has become a poster child for its transit-oriented development and well-used public transit system, as well as for a host of other innovative approaches to civic governance. For a quick overview of what it is known for, look here. 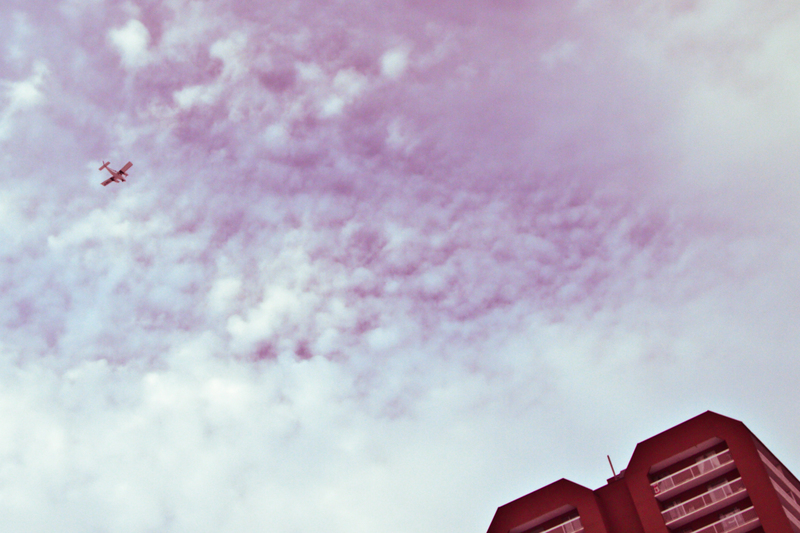 For a more in-depth investigation, check out the Curitiba Urban Research and Planning Institute’s website here. Culture is not simply about support of the formal arts. It is also, perhaps more importantly, about fostering creativity among individuals and offering them opportunities for expression. It is also, in a broader sense, the manner in which a citizenry conducts its urban life. A city can be measured by how it treats its youngest citizens, and how capable they are of participating in its culture. Quality of life investments will do much more for a city’s long-term economic competitiveness than fiscal incentives to lure new business. Jaime Lerner also opined that three things are essential to get right in making a great city: transportation, sustainability and co-existence. The first, he made very clear, does not consist of simply planning for cars; at one point he suggested that cities that want to improve must first stop allowing their urban form to be dictated by traffic engineers. The second point he expanded on in a number of ways, but to him sustainability seems to be as much about social issues as it is about the environment. It’s a great observation. But how do we engage people to start believing in the beauty of other people again? I mean, apart from the packaged and mediated “other” we view on television or the internet? Lerner spoke about a city where people engage in a dialogue with other people about the kind of city they want to live in, what matters to that society, and what it is that characterizes that culture. The people of Curitiba, in Lerner’s description, shape their collective identity by engaging with their environment and with each other. How do we foster such an interactive civic attitude in a culture that values independence, privacy and the consumption (rather than the personal creation) of culture, and that seems to have come to mistrust the “other”? Mar 09 update: I just discovered a Q&A with Lerner on Metropolis from May of last year. It has the same title as my blog piece, so hopefully they won’t come after me. I had no idea! There’s a lot of debate about expansion of light rail transit here in Edmonton. A lot of money is being invested (or it’s being considered, anyway). And the mayor wants to make sure LRT goes where the people are (or where the potential for the most redevelopment is, anyway). The Transportation Department seems to be focused on putting LRT where it will offer the fastest commute times for people out in the far suburbs to downtown. This, unfortunately, is not the same place as where the people are. So the mayor sent them back. He wants to see the feasibility of his idea. Costs, benefits, etc. I’m with the mayor. 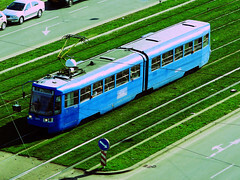 But, I worry that if you try to put a big, fast, wide suburban-style LRT through areas with narrow roads, you’re going to end up having to destroy big chunks of those areas in order to offer them the service. I don’t see why we can’t think a little more creatively and choose a technology that suits the context. European tram service works pretty well, offers higher capacity service than buses, can offer relatively fast service if you provide it with its own (narrow) right of way. And it’s low-impact. It can run on existing roads. It doesn’t require the demolition of blocks and blocks of housing and businesses. I prefer not to think that there is only one solution and that it will be rammed through regardless of the cost (by which I don’t just mean dollars and cents).